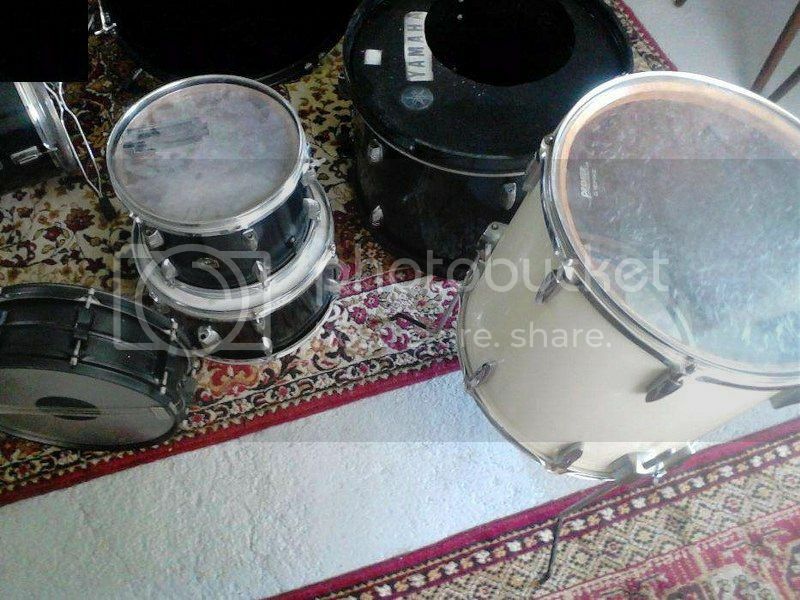 I bought a set of drums, snare and cymbals at low price. I know almost nothing about vintage yamaha kits, but the bass drum and 2 toms seems to be good. According to the photos I think the black finish is homemade painted, the kit is at a friend's house so I didn't check it yet. 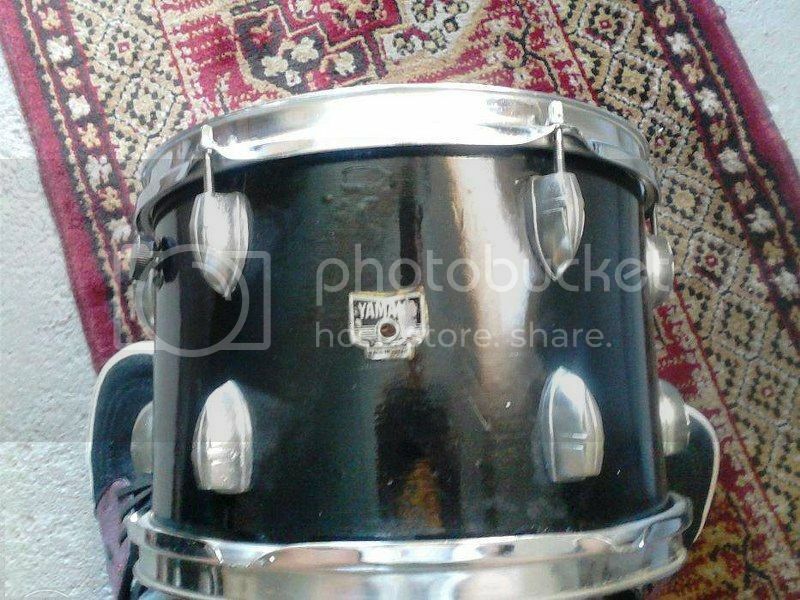 The white floor tom is a 16" or 18" premier, the badge is missing, and the snare is a sonor, I think. No idea about the cymbals. When I get it I'll take more photos. Can you give more info specially about the Yamaha? based on the lugs and badge the Yamaha drums are late 60s/early 70s C series drums with the foil badge. Maybe the wrap is still under the paint? Can I see a hint of Golden Dragon wrap around the tom badge? I really think the wrap is under the paint and I think it was painted with spray. 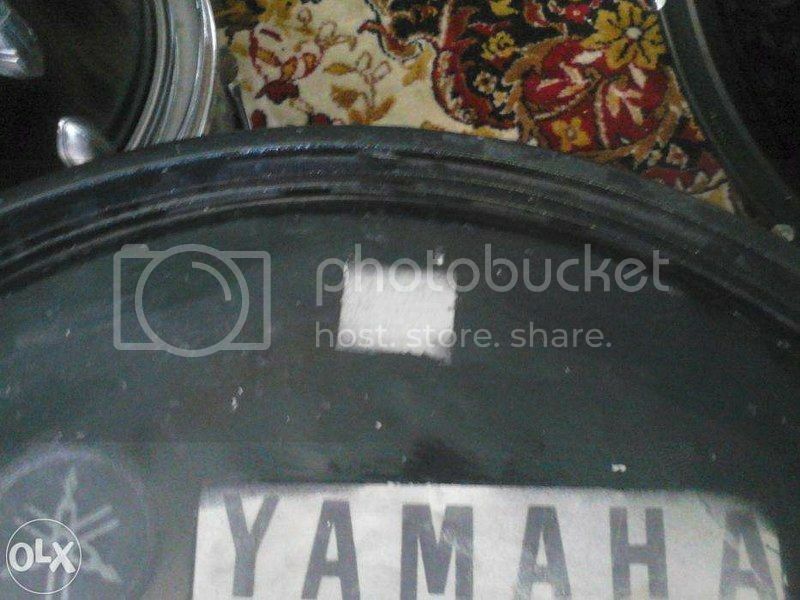 Did you notice the white bass drum head painted black arround the "YAMAHA" and over the logo? I thought that the "golden" stripe arround the badge was from itself. Now I look more carefuly and it seems to be the wrap not painted. Last edited by JohnBonham; 09-25-2015 at 08:40 PM. I forgot to post the cymbals photo. Here they are. Last edited by JohnBonham; 02-13-2016 at 05:46 PM. How exciting. It would be great fun cleaning off that paint to reveal whatever the hell is underneath. I think these drums would come up amazingly with a little work, but it might be hard. 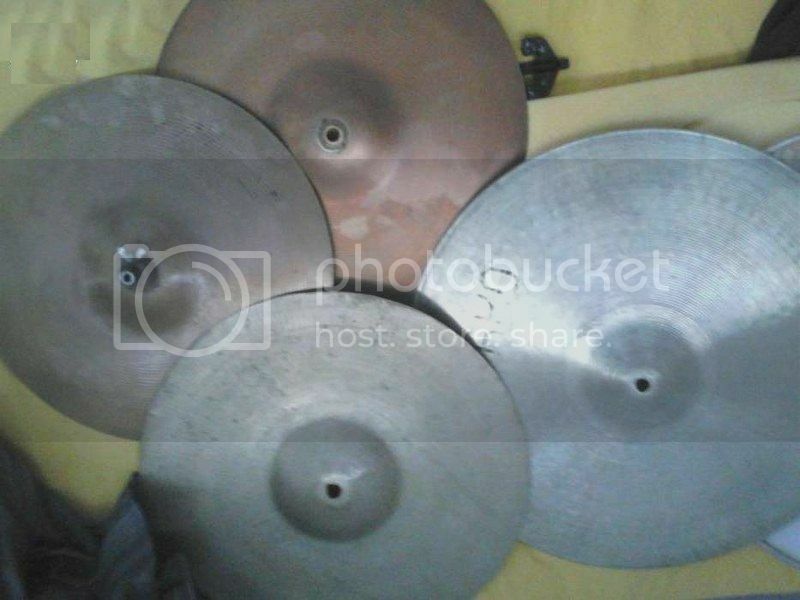 The cymbals look me like really low budget pressed stuff but I could be wrong. 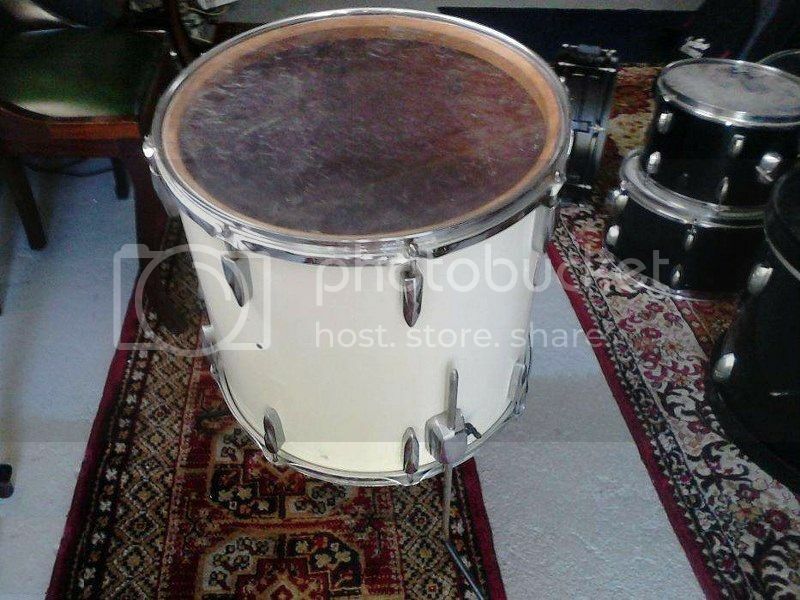 Nice drums though- interesting find! Please post if you manage to get that paint off! That cymbal is a Tyrko and they were made by Sonor. It appears that your snare has the slotted tension rods which would suggest Sonor or Premier or maybe some other European make that I am NOT familiar with. Are there any stamps on those cymbals? The kit is at friend's house. When I get it I'll tell you more details about the cymbals. Thanks!